I’m a social butterfly and like most people, I prefer to participate in groups with other people who hold similar interests to me. It gives me a sense of trust when I interact with people and groups with common values and beliefs to my own (Meyers, 2011). I find comfort with ‘like minded’ individuals, and obviously, I am not alone in this feeling since, one of the main motivators for people to use social media in the first place, is their desire for community. 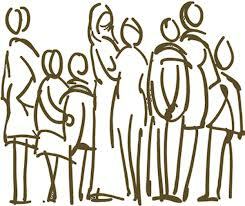 Social Media allows us to be a part of community, not dictated by space or location, and it also comes with a sense of family and unity (Mueller, 2010). This social connectivity, this common ground, can help you build a strong digital reputation. Just as you are attracted to people and communities that you have something in common with, people will be attracted to what you have to say in return. You just need to be genuine and authentic in your digital communications. by having someone recommend you directly. Based on the first 2 ways above to get noticed, I have put together 5 suggestions on how you can grow your digital reputation. The third way, having someone recommend you directly, speaks more to your physical network than you virtual one, but if you are getting them to recommend your social presence loudly, at let’s say a cocktail party or business conference, by all means, you should be using that tactic as well. Facebook is, hands down, the largest social network being used today. It is not just for your kids and connecting with your high school buddies anymore. Many people have set up professional profiles that highlight their knowledge and expertise. For example, check out Chocolate for Breakfast. This is the business page for Sue Ann Gleason, a culinary nutritionist and marketing strategist. This page has over 19,845 Likes, which translates into fans following it, with outstanding engagement in the Facebook world (over 60% of the fans are talking about the page according to the Social Media Examiner). It uses photos really well, has inspiring posts (particularly the recipes),and is entertaining and educational. 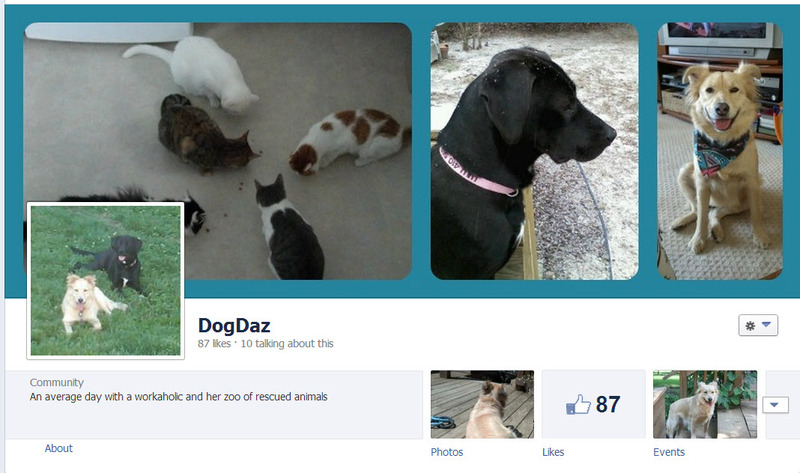 Personally, I have a page on Facebook ( DogDaz ) that I use to connect with my followers that prefer that social network and to promote my PetBlog, dogdaz.com. The goal is to connect with other animal lovers, promote animal rescue and remind my Facebook followers to read today’s blog posts. This has worked great in the last year and I have over 40,000 hits on the blog (which is huge for me). What you will find is that people will start recommending your content to other people, who will recommend it to other people, and building your reputation. In the Facebook world, the number of people (FANS) that LIKE your page, the higher the rating and stronger your reputation. 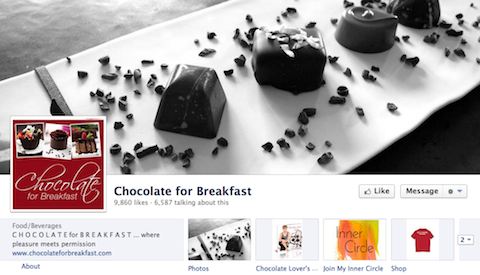 These ratings act as SOCIAL PROOF that your page (you) has value. If someone agrees (thumbs up) that what you are saying, or selling, or doing, has value, that social proof leads others to see greater value in your stuff. Dorie Clark says that “basically, [social proof] means that people look to others around them to judge the value of something. (If a book has 1,000 five-star Amazon reviews, it must be good. )” Can you see how you might leverage this to help build your reputation? LinkedIn is definitely ‘the place’ to connect to people professionally. Just like with Facebook you set up a profile, but the power of LinkedIn comes through your participation in groups that interest you. This is where you show your smarts. You build a following on LinkedIn by following other people and groups, and commenting on their ideas, or in forums, with your ideas. This gets your name out there. As you comment, you build your credibility as an expert in a particular area, and your reputation increase. Being helpful and answering questions in forums and communities is a great way to get known. This may sound like a tease, but you can give just enough information in your answer and then encourage people to contact you through your email, blog, website or other links, so that you start to build a direct relationship. The more you put yourself out in front, the more digitally social you are, the more will come back to you. Trust me – it works (your reading my blog, aren’t you?). If you are going to use any of these suggestions to build your digital reputation, do them consistently. I hate when I come upon communities, groups, forums, and blog sites that are woefully outdated. If you are going to have a presence in social media, you need to post regularly or it does you little good. People will lose interest in your posts if your site, or blog, or Twitter feed is outdated. You don’t need to post everyday, 2 or 3 times a week is fine, but you should be doing it regularly. The internet provides the ability to grow your reputation exponentially, And, based on the concept of Six Degrees of Separation (or the Small World theory) “millions of people are connected by just a few short steps.” (Lovgren, 2010) So what are you waiting for? How are you leveraging your connections? Tell me what you are doing to grow your reputation? Interesting! It seems I am following all that advice though I never thought about social media in a strategic way. I have setup my first personal pseudo-blog websites (technically they weren’t blogs but content-wise they were) more than 10 years ago – three different domains, some of them quite weird at times. One of them has “subversive” in the URL – I was so happy that this domain was still available – and it was my Alter Ego, the Subversive Element, wo wrote this blog. To me this is an ongoing experiment. Sometimes I felt I “ought to” have sort of an expert blog or participate more on groups related to my professional expertise (such as IT security) but I dreaded it. My current blog was originally “planned” as more science / physics and serious-philosophy-related, but it got a weird twist again – based on the interesting conversation I encountered. What I enjoy most on social media are the discussion with like-minded people who share the same strange combination of interests (or who are at least not repelled by the weirder stuff I blog about). From a business perspective I had always felt that a personal blog is a great filter – you get just the customers who can relate with on a personal level. The blog might “deflect” other potential clients, but I am perfectly fine with this as these might be the customers who are not easy to work with (for me) anyway. What a great story, Elke. Being the authentic you, the ‘subversive element,’ not only gets you noticed, but I can tell, just in your writing, that it makes you passionate. I think it is more about connecting from the inner you than worrying about what the suits will think. If you worry to much about what other people think, you stop being genuine. Keep up the real discussions. My only thought for you is, how do you bring your communications into to 1 or 2 feeds, so you don’t have to maintain too many, and then not have enough energy for them. Thanks for the comment. You guessed that one right – I am probably involved in too many different conversations. My original web sites were / are not interactive at all, so there is no distraction. But I am on Facebook / G+ and Twitter user since end of 2012 – and to my surprise, the related communities hav been disjoint. The upside is that I found another geeky community on G+ for example, but it is more “work” so to speak. I feel that wordpress.com is my major network though. I enjoy connecting with people who like to write extended articles themselves – compared to the meme sharing and “commenting only” culture on Facebook for example. But fortunately the circles / list of friends / connections are converging again.